When our days are full, it’s easy to get lost in the day-to-day, just trying to get through the days with minimal drama. The hazard is that we end up always playing catch up, being reactive instead of proactive. A little bit of forethought and planning can make a huge difference. How do we make time to make it happen? 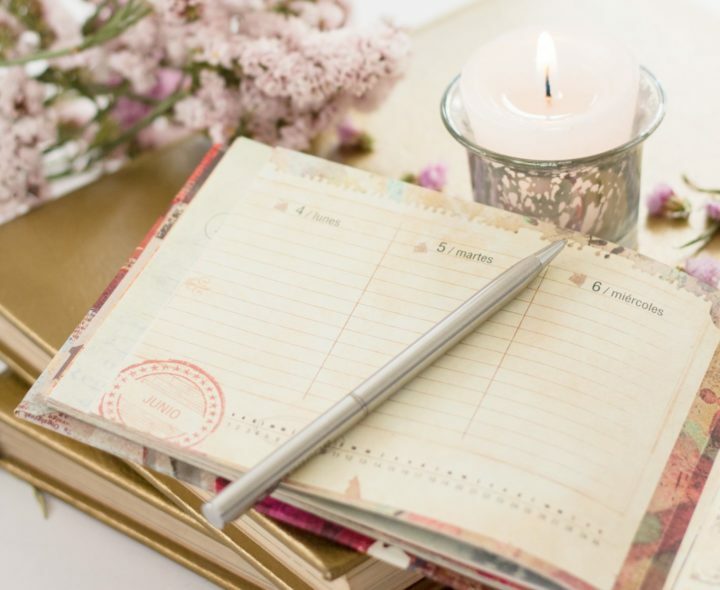 For me, planning is a part of intentional living. What obstacles interfere with planning? Overfull schedules – The tyranny of the urgent takes up all of our time just doing what has to be done right this minute leaving us less time for preparation of the future. We react to what's coming at us instead of being proactive and looking into the future and preparing for it. Uncertainty of how to do it – Planning is a skill that is not necessarily intuitive, though it may come more easily to some than others. Unrealistic expectations – We have unrealistic expectations of ourselves, of what can be accomplished in the time available to us, of the level of performance we should be able to achieve, and this paralyzes us. Lack of trust in ourselves – If we haven’t kept our promises to ourselves in the past, we develop a resistance to making those promises again. How can we overcome those obstacles and make time to plan? Schedule it – Add time to plan on your calendar and treat it like an appointment with the most important person in your life. We do have enough time; we choose what we spend it on. Do it in small bits – A leisurely planning retreat might sound heavenly, but give yourself permission to spend just 10 minutes (or 5) planning. Focus on identifying what’s most important. What are the 3 actions that will make the biggest difference, that will move things forward the most? Brainstorm steps to getting there: What do you need to do to accomplish the end you have in mind? What are the resources or information needed? Sometimes the first step is to identify what you don’t know. Do you take time to plan? How do you fit it into your schedule? Please share them in the comments section below this post or in The Productive Woman Community Facebook group, or send me an email. Just when I think I don’t have time to plan, I realize I don’t have time NOT to plan. Without a plan, be it for the day, month, or year, I can accomplish a lot of “stuff”, but not the important items that actually improve my relationships or moves my business in a forward motion. Great episode that I’ll be sharing. Thanks! I love that, Cheryl — “Without a plan . . . I can accomplish a lot of ‘stuff,’ but not the important items that actually improve my relationships or move my business in a forward motion.” That’s definitely what I’ve found to be true in my life. Thank you for listening, and for sharing your thoughts on this! How do you fit planning into your day/week? Daily is done each morning over my first cup of coffe and in advance of checking email or social media. This ensures that I’m purposeful with my day and not simply re-acting to someone else’s whims. Weekly – I’m a Sunday night planner. Taking a look at what’s coming up and planning for progress, I start carving out themed blocks of time and begin to prioritize “Must Do’s” from “That would be nice” activities. And, I try to stay balanced – have I scheduled time for actual family experiences (not just picking up/dropping off to activities)? What day will I suggest a lunch with a friend and when do I plan to call and invite them? Am I taking care of my customers, and when will the team meet? Huge benefit – it keeps me present! I can have lunch with someone else and not inwardly fret because I realize I haven’t connected to my team in awhile or short change my family because I’m thinking about a big project that “snuck up” on me. I’m telling you, planning is the way to go for less stress, more purpose and best results!